A few weeks back I was sitting in the audience of my son’s middle school band concert waiting for it to start. A friend stopped by to talk. She was talking to me about the damage she had during this past winter. Almost everyone I know had damage to walls or ceilings. Her damage was in her bathroom. She wondered if I could take a look at it and see if I thought I could fix it. I have learned over the last several years of being married to a do-it-yourselfer how to actually repair walls, prime and paint them. I have pretty much redone all the walls and ceilings in my entire house. So I was glad to help her out. To make a long story short I took on the job to repair the ceiling and paint it. So over a little less than a week it took me to use joint compound, sand, prime and paint her ceiling. I did it while she was at work so it didn’t interfere with her family’s time at home. I made sure to clean up every day and there was no trace that I had been there except for slow improvements in the ceiling. So I finished it and she was very pleased with how it looked. She told me she would pay me soon. I reminded her that I didn’t want anything. We are friends and friends do things to help friends out. I wasn’t looking for anything. I was glad I could help her. 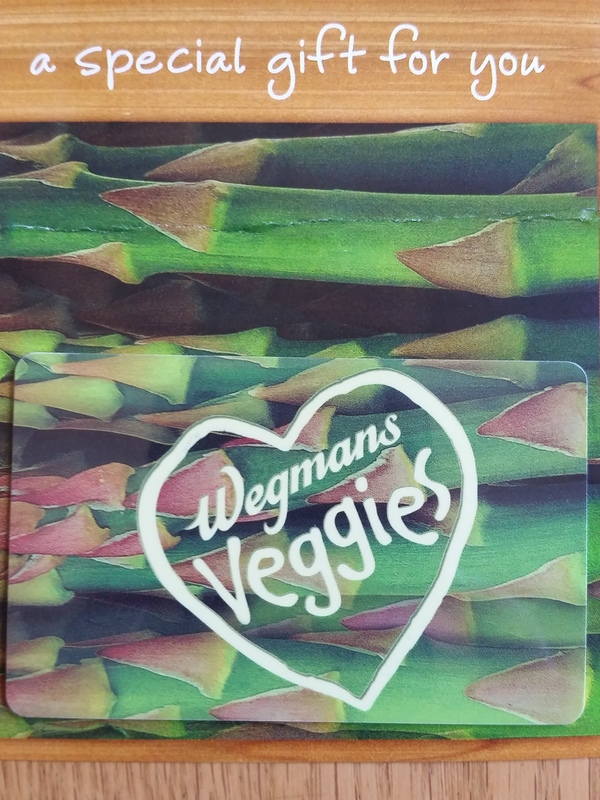 Yesterday it was her turn to drive our kids to swimming and her son ran into the house and handed me a gift card to Wegmans (our local grocery store). Without looking at the back side of the gift card, I told him to tell his mom that was not necessary but thank you. So he left and they headed to swim class. I took a closer look at the gift card and noticed that the gift card was for $200. I was glad I was sitting down. I grabbed my phone and immediately called her. Her son picked up the call in the car and I told him to tell his mom that was way too much. She got on the phone and said, “No, it isn’t. You did me a huge favor and I didn’t have to deal with contractors. It looks great.” I told her I didn’t expect anything for fixing her ceiling but I was grateful for her gift. This was my “small moment” for the day. It is nice to help out your friends never expecting payback. I so appreciated the fact that she felt it necessary not to take advantage of our friendship by paying me for my time and work. I still would have done it for free but it is always nice to know you are appreciated for your efforts. Here’s to many “small moments ” in your day!! And appreciative friends!! This entry was posted in friends, friendships, home repairs and tagged appreciation, bad winters, do-it-yourselfer, fixing ceilings, friends, friendship, painting, repairs, small moments, Wegmans. Bookmark the permalink. Wow. I’m in awe of your mad skills, and how nice that your kindness was unpaid, even though you weren’t expecting it. Love a happy eding! Receiving a token of gratitude from your friend just goes to show you how much she appreciates you for your selflessness, thoughtfulness and generosity. Buy a bottle of champagne with your gift card and, together, toast to true friends.